Jeremie Hogan opens up about the accident that changed her life. I call them my invisible superpowers, because if you were to meet me in person you would probably think, “that girl has an interesting name, is very tall and does not stop smiling!” Name and height aside, though, behind my smile lie nine years of recovery from something that continues to be a big part of my everyday life. Nine years ago I had a cycling accident that flipped my world on its head – quite hard and quite literally. I was in a race on the velodrome in Invercargill, New Zealand, when I was sent flying head first into concrete. I suffered a traumatic brain injury and have been on a very long journey of recovery – rebuilding my body, regaining cognitive abilities, and redefining my life. I have gathered up my scattered dreams, rebuilt my new normal, living with my invisible superpowers. I have lived with chronic pain in my head every minute of every day for those nine years. I was 17 when I had my accident. I was a competitive cyclist, and that was my identity. I was in the New Zealand teams for both road and track, a gold scholar at school, and a complete overachiever in every possible way. I had big dreams, big ambitions and life was great. Everything I defined myself as was changed in that moment. Suddenly I couldn’t use my brain and body in the ways I use to. To be honest, I hadn’t really ever failed, - I didn’t know what failure looked or felt like, and suddenly I was failing at the most basic things. Nine years is a long time. I have redefined pretty much everything in my life – my dreams, goals, values, what success looks like. But I think one of the biggest things I have redefined is movement. To the old me, movement meant winning, being an athlete, and pushing my body and mind in a way that was completely stimulated by competition. Movement for me now is my biggest pain management strategy. It is how I nourish my body and mind, and not one bit of it is competitive. Don’t get me wrong – I absolutely love pushing myself. But I do what feels good and feels right. It’s my happy place, everything melts away and I just have fun. Endorphins are incredible! My journey has not just been a process of recovery, but also a very powerful process of discovery and transformation. When you break into what feels like a thousand pieces, although it’s painful, it opens you up and allows you to expand and grow in ways you never knew possible. I have managed to turn my brain into my greatest asset, my biggest teacher and my hidden superpower. A couple of weeks ago I taught an RPM class at the exact time and on the exact date that I had my accident nine years ago. What a surreal moment. Like any challenge we face in life, it can hurt at the time, your whole world can crumble. But these challenges make us grow, sculpt our souls and make us who we are. If I hadn’t had this head injury, I wouldn’t have half of the drive I have today, I wouldn’t have half the amount of compassion and gratitude for myself and others. Most importantly, I have learnt how to embrace and value failure in a really positive way, learning how to be brave and resilient. A couple of weeks ago I taught an RPM class at the exact time and on the exact date that I had my accident nine years ago. What a surreal moment. Getting back on a bike – albeit a stationary one – has been the most challenging but incredible thing. I feel fizzy every time I clip my feet into those pedals. My legs love spinning in circles again. But what makes it really special is the opportunity to share that with others. It is a huge privilege and I love it. 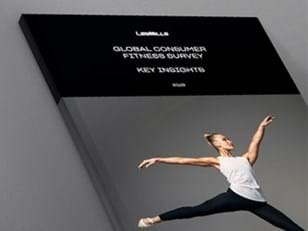 I had actually joined Les Mills as a member a couple of years ago. My body was weak from years on a huge amount of medication. I had decided to come off medication completely and focus on managing pain in other ways. Movement became the most incredible way to do this – to re-inhabit this body of mine, from which I’d become disconnected. When I started exercising again, I didn’t know what I would be able to do. I challenged myself to get back on a bike. A real bike on the road or track isn’t an option for me anymore, so I thought l’d try a stationary one. I’ll never forget how nervous I was walking into an RPM class for the first time – and then how awesome I felt walking back out the door. Les Mills became my happy place. When I was in a class everything felt like it melted way. I would forget that I hadn’t slept or that I was in pain, because I would just have a big smile on my face – thinking, yes, I am doing this! I also felt like I had found my people. I had been incredibly isolated, I had lived an entirely different live from my friends and team. Being at the gym, I felt surrounded by the most incredible people in world. Many, of course, would have had no idea – to them I was just the tall smiley girl, which I loved. I was just Jeremie. I wasn’t labeled with having a head injury and constantly asked “where is your pain at” … I was just treated like a human, and I just felt like me. I felt so empowered. I felt in my body. I felt connected to people and I just had so much fun. One day I walked into a class I was trying for the first time. I had watched this program and thought there is no way I could manage it, but for some reason that day I thought, right, do it. I can’t specifically remember what the Instructor said or did, all I remember is how I felt. It was all new – I was uncoordinated, didn’t trust my body, and had no idea what I was doing. But I felt so empowered. I felt in my body. I felt connected to people and I just had so much fun. The Instructor created that experience. I don’t think you can ever underestimate how much it can mean to someone to make them smile, to make them sweat, and to encourage them to have fun. I will never forget that feeling – and that is what started my journey. My Instructor gave me such a sense of purpose and belonging that day – helped me do something I had doubted I could do, encouraged me, supported me and believed in me. I started teaching in 2018 after doing my first module in April, beginning with RPM and now Sprint. I feel privileged to be an Instructor. I take the opportunity seriously – to make someone smile, push themselves and connect with others in every class – because I know how powerful it has been in my life. Trusting my body and brain is a constant challenge. I worried about my memory when I first started, so I spent a lot of time finding ways that helped me learn. I felt like an impostor at the beginning – what if everyone in the class found out I had a brain injury? So being vulnerable and having the courage just to be me has been rewarding. There have been moments where the “old” athlete and perfectionist me has come out to play. The challenge has been staying true to where I am at. At times I’ve felt that part of me was trying to set expectations that would have been set by the over-achieving perfectionist I was. Whenever that comes out, I focus back on learning and enjoying the journey. When I relax, remember why I am there, remember that fizzy feeling, I just get into this state of flow and have fun. I adore being back on a bike and sharing my love of riding. When I’m teaching I can visualize racing and riding in a really positive way. When I was a cyclist it was all about me, my racing, my training – now it is all about the people that walk in the door, and I love that. There is something special about the connection you have with people while pushing yourself physically and mentally. I always found that with the people I cycled with – because we went through challenges together, and then enjoyed that endorphin kick on the other side. In every class I teach I feel like we are a team; we ride, we train, we have fun, smile, sweat, laugh and walk out that door as better versions of ourselves. I felt isolated after my accident, I had lost that sense of team, of being a part of something. I think everyone walks into the gym for a reason. Everyone has a story. Life throws all of us obstacles and challenges, many of which, like mine, may not be outwardly visible. So, I value knowing that that, for someone on any particular day, you have the opportunity to make them walk out feeling differently than when they walked in. I remember how much courage it took walking into a class for the first time. Ensuring others feel as welcomed, inspired and connected as I did is really important to me. Jeremie Hogan is based in Wellington, New Zealand. 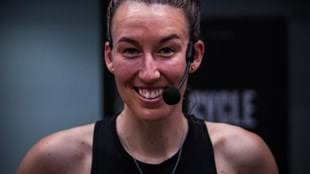 She teaches RPM and LES MILLS SPRINT, and has been teaching since April 2018. Thanks to Mandi Jones for sharing Jeremie’s story. Do you know an Instructor with an amazing story? 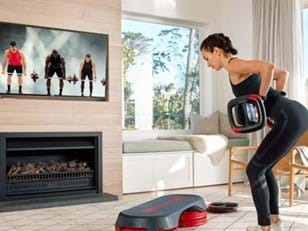 Email Instructor@lesmills.com and tell us why their story needs to be shared!